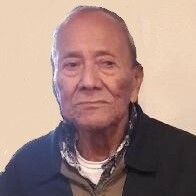 Antonio Reyes, 85, entered eternal rest on Friday, May 25, 2018 at Edinburg Regional Medical Center in Edinburg. He was born on Thursday, September 1, 1932 in Dr. Arroyo, N.L., Mexico to Antonio Reyes and Juanita Melchor Reyes. He is preceded in death by his parents, brothers, sisters, wife; Julia G. Reyes, son; Joey Reyes and daughter; Maria Alma Macias. Antonio is survived by his children; Tony Reyes, David Reyes, Samuel Reyes, Sylvia Mims, Johnny Rosales, Irma Gomez, Robert Salazar and Norma Salazar, 9 grandchildren, 2 great grandchildren. Antonio lived in Edinburg most of his life and was a member of Sacred Heart Catholic Church. He was a hard worker and a good handyman who enjoyed fixing things and selling them. He also enjoyed gardening and playing his guitar, but his greatest joy was spending time with his family. He will be greatly missed by his family and all those whose lives he touched. His family received friends on Tuesday, May 29, 2018 from 5:00 p.m. – 9:00 p.m. with a Rosary prayed at 7:00 p.m. in the Chapel of Peace at Ceballos-Diaz Funeral Home, 322 East Kuhn Street in Edinburg. Funeral services have been entrusted to Ceballos-Diaz Funeral Home in Edinburg.